This tiny African country packs a wildlife wallop. 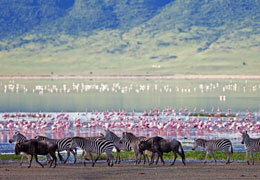 It is African condensed with the best of everything condensed into one small but stunning destination. Recent political troubles have quieted and the country is opening up to wildlife exploration. 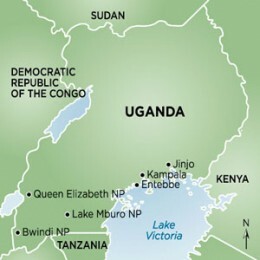 Although landlocked, Uganda is sliced in two by the mighty Nile River and its borders straddle three great lakes. There are plentiful wildlife watching options from tracking gorillas on foot through the jungle to the more traditional ‘big five’ safaris on the plains. 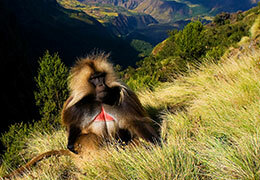 Uganda has the highest concentration of primates on earth and this is the main reason to go. 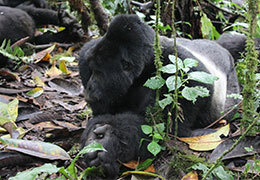 There are unsurpassed opportunities to observe the magnificent mountain gorilla and chimpanzees in the wild. Parks are also home to elephants, hippos, buffaloes, lions and leopards. Uganda is also one of the world’s best bird-watching destinations, a twitcher’s fantasy offering 1041 species; almost half the total found in all of Africa. Even non–bird-watchers will be enthralled by the diversity of beauty among Uganda’s birdlife. Pan fried grasshoppers are a delicacy here, so don't turn them down!